Ria Loves Pawlish: Pixi #MascaraLayering! had a little date night with Mr. Pawlish tonight, went out to a pizza joint that i love! i had a $10 reward that was expiring today... and we couldn't let that happen :D i'm still dealing with allergies, but i have a doctors appointment that's halfway to the barn tomorrow... so i'm hoping i'll be feeling better enough that i can go out there and at least bring my horses some carrots :) i had a great jumping lesson yesterday... my allergies didn't bother me too much while i was actually riding, but oh man, it was killer the rest of the time! 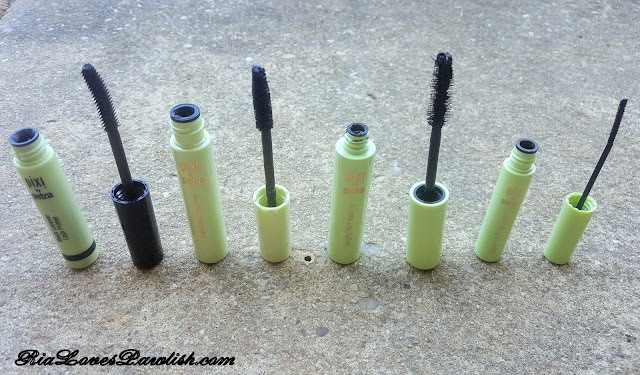 i'm super excited to share some Pixi mascaras (four actually!) with you all today! (they are all press samples, kindly provided to me for review). Pixi has come out with three new mascara products which they've combined with one of their original mascaras in a mascara layering combination. yup, you use all four to get some bombshell lashes! 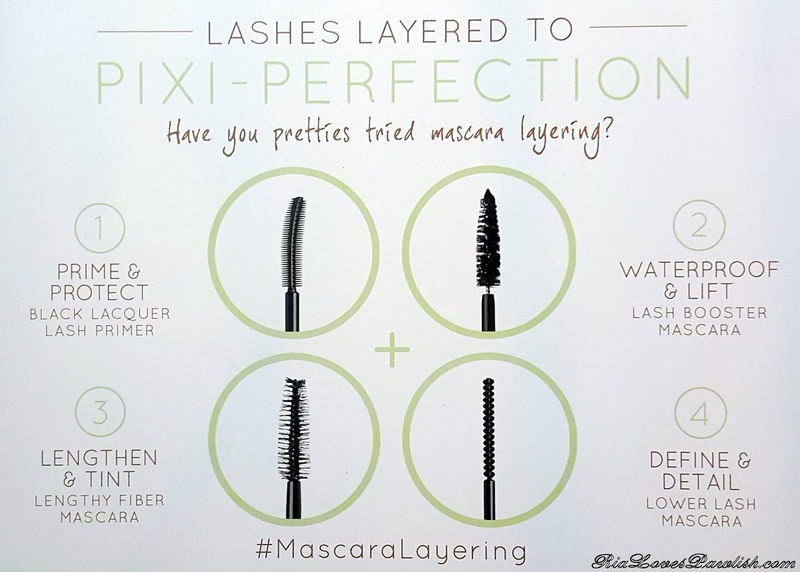 the best part is that until September 12, 2016, you can get 20% off if you buy all four together at PixiBeauty.com with their #MascaraLayering Offer :D i love that you have so many options... each one can be used by itself, or loads of different different combinations. the new mascara products are the Black Lacquer Lash Primer, Lengthy Fiber Mascara, and the Lower Lash Mascara. 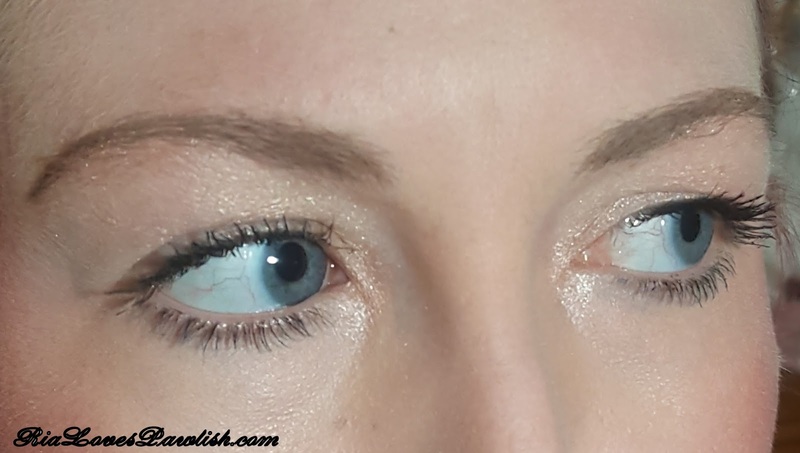 the Lash Booster Mascara has been around for a very long time... i think i bought i like six or so years ago... i even bought it in the Blackest Blue color that the press sample came in this time! as you can see, the brushes are all quite different and really do give different effects. Lengthy Fiber Mascara actually has lots of little bits of fibers in it... one clump did fall in my eye, which i didn't like. it is quite pretty, though! i decided to go ahead and show you just the layered up look... let me know if you like individual reviews on any of these :) i didn't want you guys to miss out on the 20% off!! 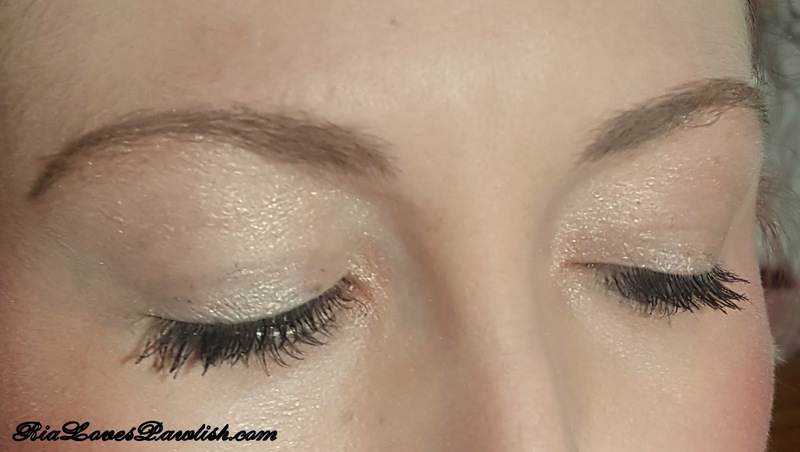 i followed along with Pixi's suggested layering steps... i think maybe i was supposed to add Lower Lash Mascara on top of everything now that i look at it again... but it still looked fantastic! as you can see, it gives you a long, fluttery lash look. super pretty and feminine! 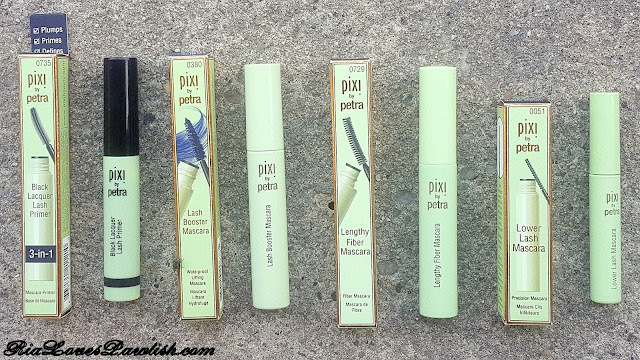 on my lips is one of the new Pixi Multibalms... Pixi was kind enough to send me all the colors, so a review with swatches of all of those is coming soon!! 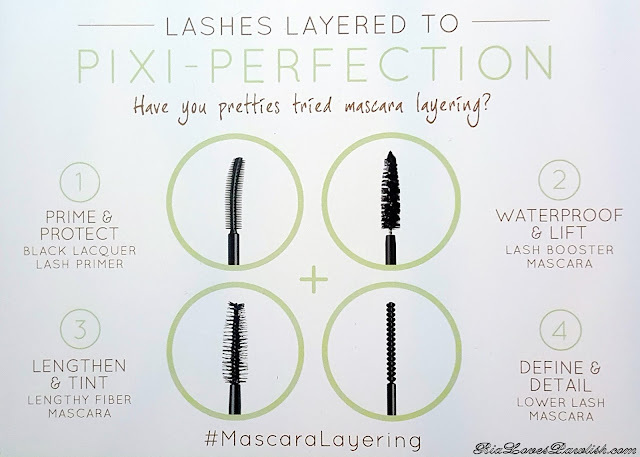 the Pixi #MascaraLayering Offer gives you 20% off all four products, making the price $45. the ONLY place to get it at PixiBeauty.com, THIS is the direct link!! you can find Pixi products on PixiBeauty.com, Target.com, and in Target stores! let me know if you take advantage of the deal... and if you do, what you think of the products! !